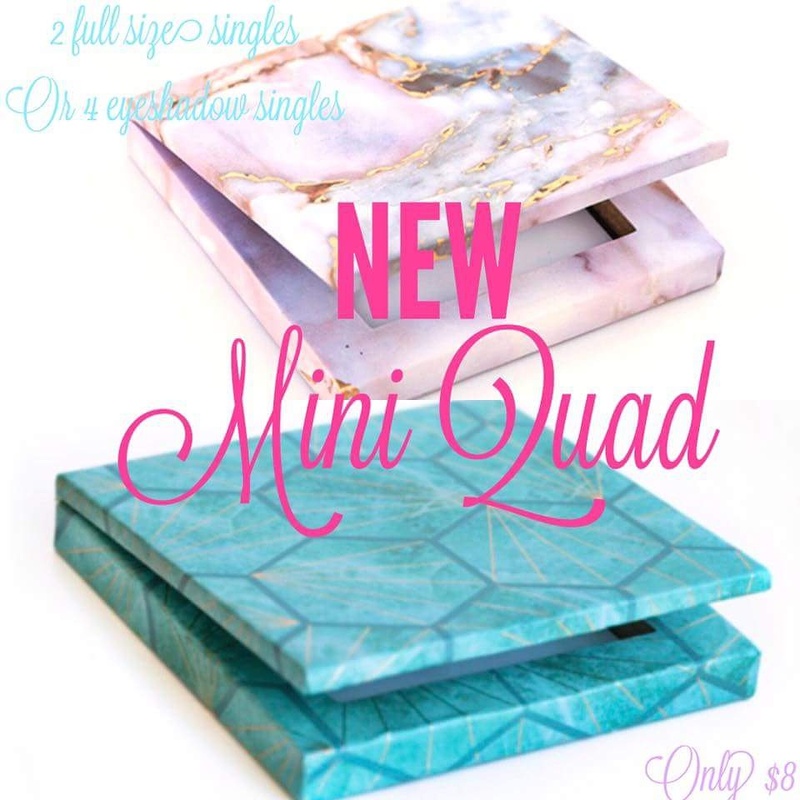 We just released the cutest little mini quads! They are only $8.00 & they hold either 2 full sized singles such as the highlight or contour, cheek & lip, bronzer & setting powder -or- 4 eye shadows! These are just too cute. Must hace for my purse! Aren’t they so cute? Order 4 eye shadows or 2 full size powders (setting powder or bronzer) and you can then cart one if these gorgeous mini quads for free.